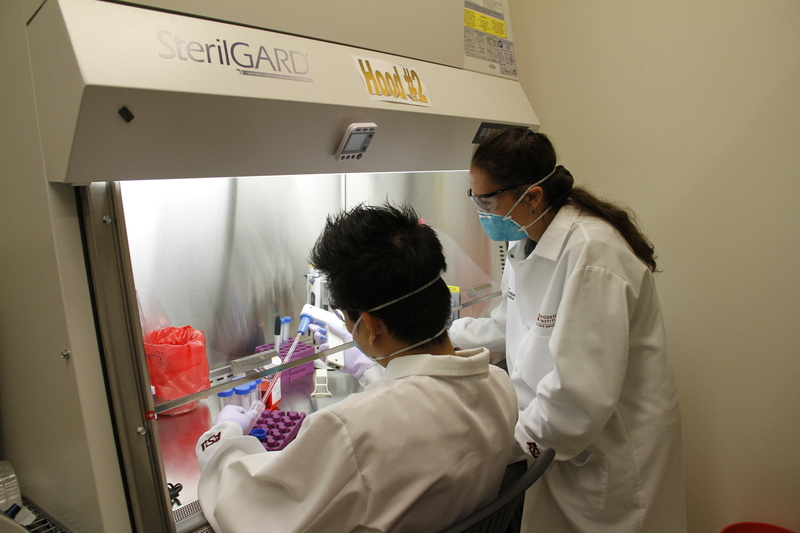 Arizona State University provides laboratory coat laundry services to all ASU researchers on every campus. The current program can launder around 2,000 lab coats, about 50 per week, and is free for lab employees. The pilot laundered 500 lab coats since fall 2016. Most researchers have a lab coat drop-off location near their laboratory, but some locations may mail lab coats for laundering. Learn more about how to participate from the lab coat webpage. The program began when EHS Compliance Officers identified that many labs could not find a cost-effective laundry service. Fulton Schools compliance officer Alana LaBelle presented the concept to the EHS Policy Committee in May 2016. A team of EHS staff, departmental safety compliance officers and representatives from Mail Services and Procurement introduced the concept and recommended the program to university administrators. Knowledge and Enterprise Development and University Business Services jointly funds this program for the first year. Read more about the Lab Coat Laundry Service on the EHS webpage. Learn more about the Compliance Officer program.